Since its inception in 2002, the K.A.M.P. 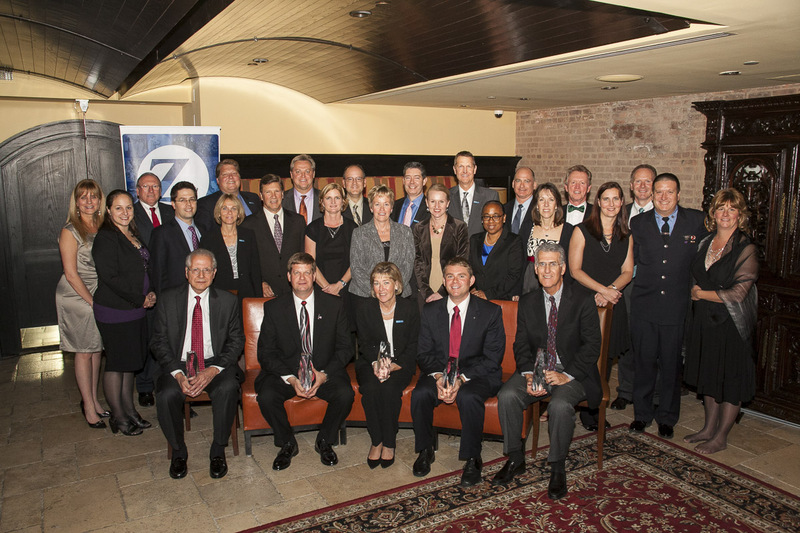 Award has been presented to 53 recipients in honor of four Zurich employees lost on 9/11. 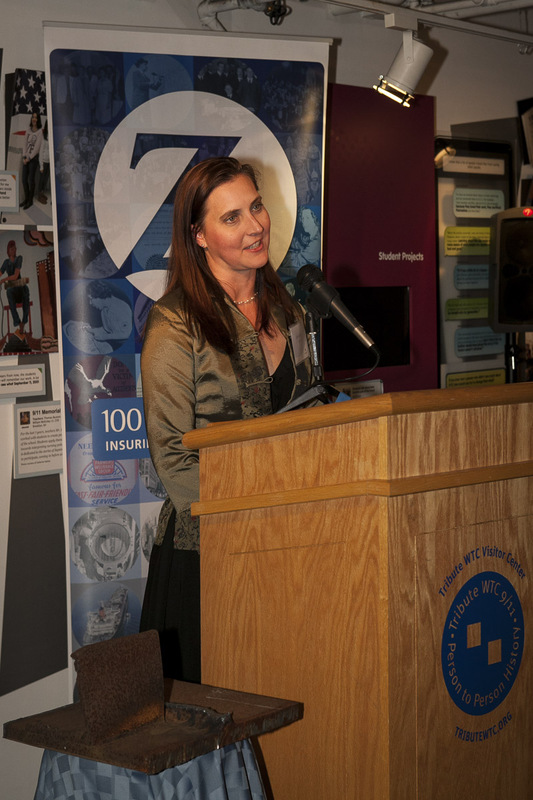 Jennifer Adams, Chief Executive Officer of the Tribute WTC Visitor Center, welcomes attendees to the 2012 K.A.M.P. Award ceremony at the 9/11 Tribute Center on October 24. Randall Clouser, Head of Marketing, Distribution and Regional Management, Zurich North America Commercial, accepts a piece of steel from the World Trade Center from Salvatore J. Cassano, 32nd Fire Commissioner, City of New York. 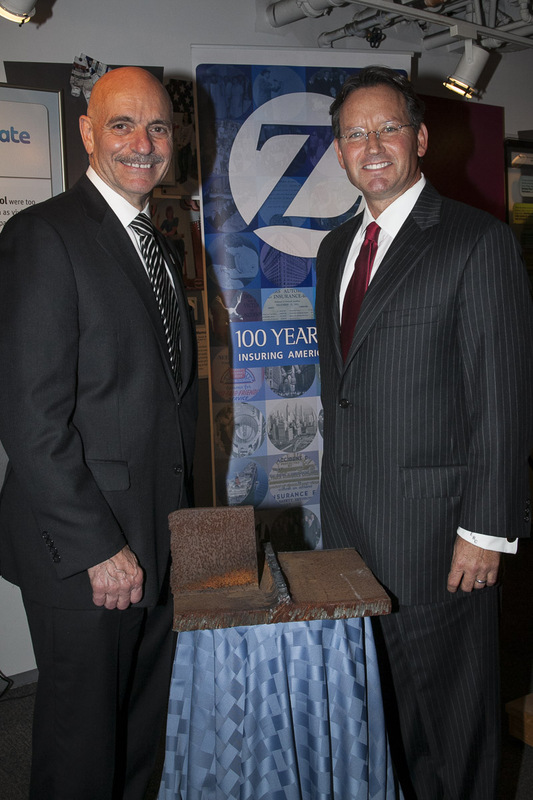 A piece of steel from the World Trade Center was presented to Randall Clouser, Head of Marketing, Distribution and Regional Management, Zurich North America Commercial, on behalf of Zurich. 2012 K.A.M.P. award winners- Dean Ladas, Mark Krause, Maureen Neelon, David Shluger and Mark Restrepo- gather with attendees to celebrate the recipients' efforts in inspiring others to make a difference. Nominations for the K.A.M.P. awards are submitted by colleagues who feel a coworker has the ability to lead and motivate others, is passionate about their work, courageous in spirit and shows a commitment to their community. Since its inception in 2002, the K.A.M.P. award has recognized 53 employees, who have displayed these characteristics. This year, Zurich was also honored to accept a piece of steel from the World Trade Center presented by Fire Commisoner Salvatore J. Cassano on behalf of the New York Fire Department. 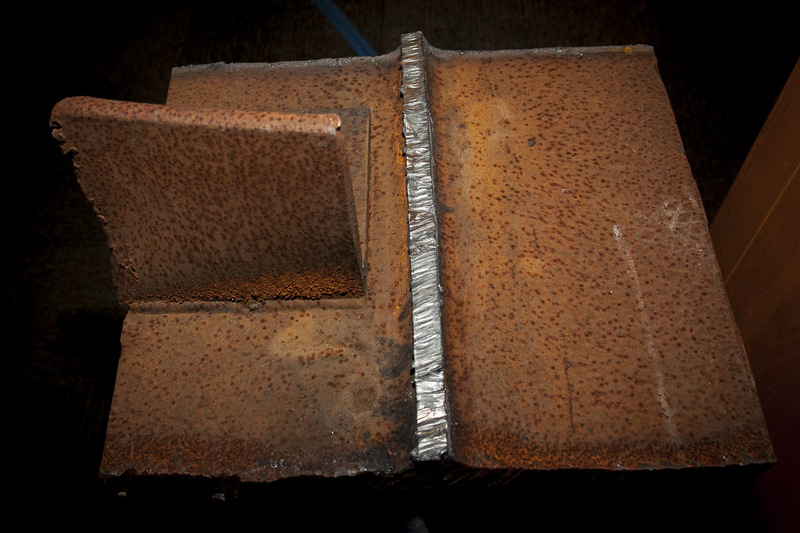 The company hopes this piece of history will help inspire its employees to continue to make a difference as a tribute to the countless heroes of 9/11.